I am a founding trained and accredited practitioner of the P6 Constellation community in practice. 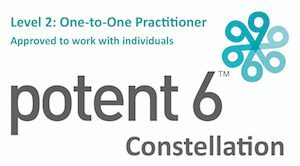 We use the P6 Constellation (developed by Louie Gardiner) to support change in individuals and groups across generations, cultures, professional roles and contexts. We bear witness to profound transformational shifts in executives, professionals, groups, parents and children alike; and delight in passing on the ability to these people to do this for themselves. We know from our own personal experience that with support and practise, this framework will develop in you, an increasing ability to take coherent, timely, wise action amidst the complexities and challenges of life. My aim in my coaching practice is to build capacity within individuals and in communities. To notice and pay attention to what is present, to make sense of past experiences and create meaning to events in the past, present and future. To help make wise choices not based on past patterns but on what is present today. As a woman working in science I find great personal pleasure supporting others in this arena. I am also a working mum and have an in-depth knowledge and experience of working with other mums and dads who are in transition along side the organisations who seek to create a family friendly working culture.